Trumpeter Jonah Jones left his home in Louisville to play jazz on the riverboats that plied the Ohio and Mississippi Rivers in the 1920's before touring with Cab Calloway’s band in the 30's and then he re-emerged in the 1950's and 60's as the leader of a small combo that sold a bunch of albums for Capitol Records. Jonah Jones comes alive again on this week’s Radio Munson along with the classic “Let Me Off Uptown” with vocalist Anita O’Day and trumpeter Roy Eldridge. Vesper services to mark the passing of day and the onset of evening are a tradition that derives from monastic life, and dates as far back as the 6th century. Much Vesper music is based on the melodic lines of Medieval Gregorian chant. A Grammy award-winning jazz superstar is making an appearance this weekend in central Illinois to give the second-ever performance of a new work that combines jazz with classical music. 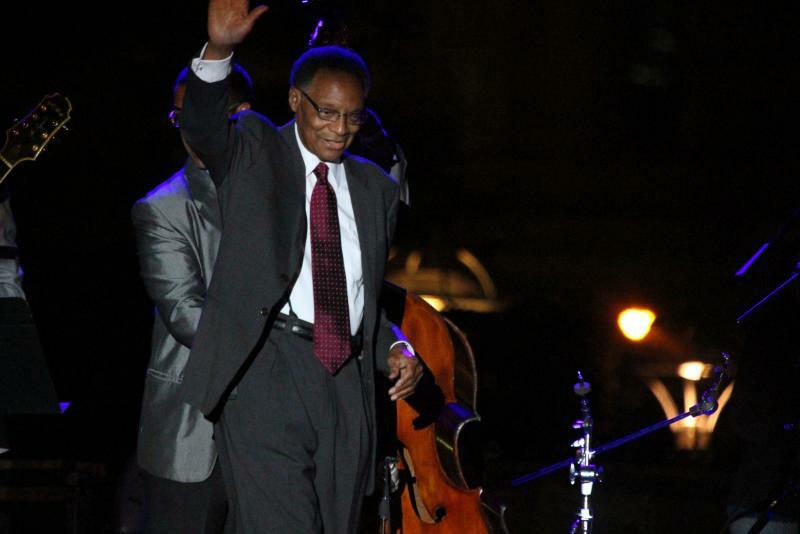 The Ramsey Lewis Trio is appearing with the Peoria Symphony Orchestra, Saturday at 8 PM in the Peoria Civic Center Theater to perform Lewis' Concerto for Jazz Trio and Orchestra.